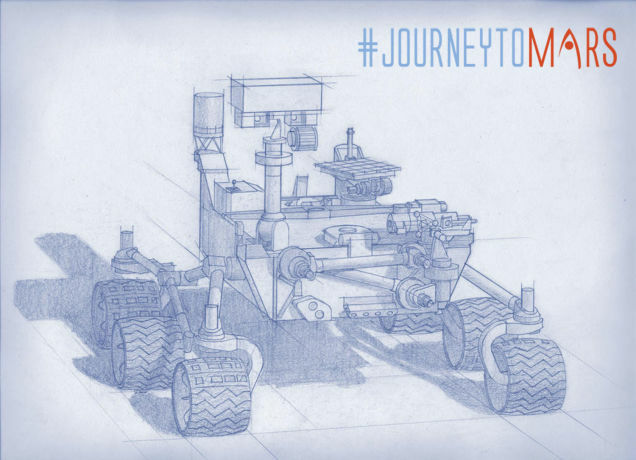 Last Thursday at the agency’s headquarters in Washington, NASA unveiled more information about its Mars 2020 rover, which is scheduled to join Opportunity and Curiosity on the Red Planet by the end of the decade. The subject of this latest press release was the rover’s payload, which will consist of seven carefully-selected instruments that will conduct unprecedented science and exploratory investigations, and cost about $130 million to develop. These instruments were selected from 58 proposals that were submitted back in January by researchers and engineers from all around the world. This is twice the usual number of proposals that NASA has received during instrument competitions in the recent past, and is a strong indicator of the extraordinary level of interest the scientific community is taking in the exploration of the Mars. Mars Oxygen ISRU Experiment (MOXIE): this technology package will process the Martian atmosphere into oxygen. ISRU stands for In Situ Resource Utilization. Planetary Instrument for X-ray Lithochemistry (PIXL): this spectrometer will use a high-resolution imager and X-ray fluorescence for detailed elemental analysis to a finer degree than possible with any prior equipment. Scanning Habitable Environments with Raman & Luminescence for Organics and Chemicals (SHERLOC): this sensor suite will use an ultraviolet laser for fine-scale mineralogy, detecting organic compounds, and high-resolution imaging. Mastcam-Z: an advanced camera system that will send home panoramic and stereoscopic images and assist with rover operations and help determine surface mineralogy. SuperCam: an imaging device with super capacities to perform chemical composition analysis and more mineralogy. This tool will allow the rover to peer around hunting for organic compounds within rocks or weathered soils from a distance, helping identify interesting locations to sample in greater detail. Mars Environmental Dynamics Analyzer (MEDA): This sensor suite to measure temperature, wind speed and direction, pressure, and relative humidity. As dust is such a defining characteristic of weather on the red planet, it’s also going to measure dust size and shape, helping characterize how big of a hassle it will make housekeeping. Radar Imager for Mars’ Subsurface Exploration (RIMFAX): a ground-penetrating radar to imagine the subsurface to centimeter-scale resolution. These instruments will be used to determine how future human explorers could exploit natural resources to live on Mars, pinning down limits to how much we could rely on using local materials. In addition, demonstration technology will test out processing atmospheric carbon dioxide to produce oxygen, a key step towards using local resources for manufacturing oxidizers for rocket fuel and suitable for humans. Mars has resources needed to help sustain life, which can reduce the amount of supplies that human missions will need to carry. Better understanding the Martian dust and weather will be valuable data for planning human Mars missions. Testing ways to extract these resources and understand the environment will help make the pioneering of Mars feasible. 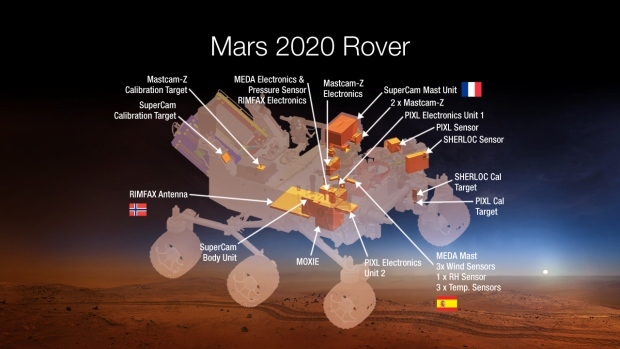 The Mars 2020 rover, with these new advanced scientific instruments, including those from our international partners, holds the promise to unlock more mysteries of Mars’ past as revealed in the geological record. This mission will further our search for life in the universe and also offer opportunities to advance new capabilities in exploration technology. The panel discussion also included enthusiastic support of Orion and the Space Launch System which are currently under development and will be used when it finally comes time to send human explorers to join the rovers on Mars. 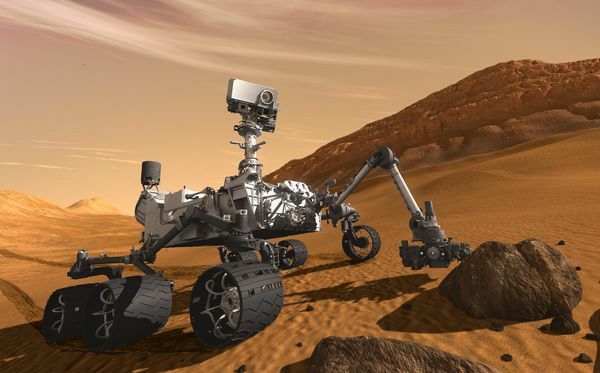 The Mars 2020 mission will be based on the design of the highly successful Mars Science Laboratory rover, Curiosity, which landed almost two years ago. Not only does it look virtually identical to Curiosity – from its six-wheeled chassis, on-board laboratory, and instrument-studded retractable arms – and will even be partly built using Curiosity’s spare parts.It will also land on Mars using the same lowered-to-the-surface-by-a-giant-sky-crane method. 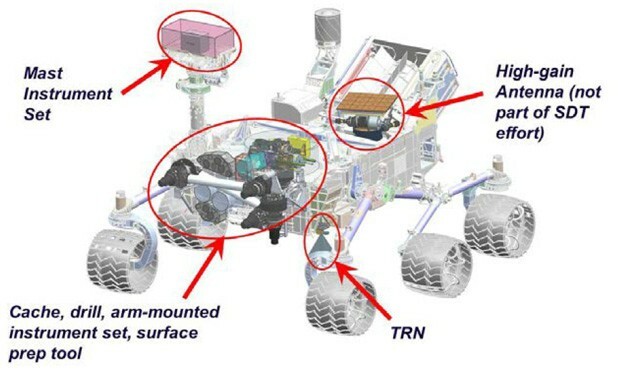 NASA als0 plans to use the rover to identify and select a collection of rock and soil samples that will be stored for potential return to Earth by a future mission. These rock samples will likely have to wait until the proposed manned mission of 2030 to be picked up, but NASA seems hopeful that such a mission is in the cards. In the meantime, NASA is waiting for their MAVEN orbiter to reach Mars and begin exploring it’s atmosphere (it is expected to arrive by September), while the InSight Lander – which will examine Mars’ interior geology – is slated for launch by March 2016.